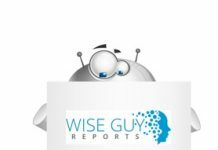 Global antifungal agents market is expected to grow at a moderate rate during the forecast period. This market includes drugs, powder, ointments, and pastes that are used to treat fungal infections. These antifungal agents prevent and destroy the growth of fungi that are responsible for various diseases such as aspergillosis, ringworm, skin infection and so forth. The antifungal drugs include azoles, polyenes, Echinocandins and allylamines. These drugs are widely used for the treatment of several fungal infections such as candidiasis, ringworm and tinea pedis. Increasing funding programs for the development of antifungal agents support in the effective treatment of fungal diseases. For instance, in June 2016, the Department of Molecular Genetics & Microbiology, Stony Brook University received a grant valued over $6.0 million from the National Institute of Health (NIH). This grant was intended to discover new approaches for the treatment of fungal infections based on collaborative and laboratory research along with experts, globally. They will collaborate for the development of the new class of antifungal agents. According to the experts, systemic fungal infections cause over one million fatalities each year. In addition, the treatment of such conditions is generally not effective coupled with drug resistance or toxicity. Thus, the funding from NIH enables recognizing the widespread requirement for potential antifungal treatments. As a result, it enables to drive the growth of the global antifungal agents market. Moreover, other factors that are contributing towards the growth of antifungal agents market include rising incidence and prevalence of fungal diseases, advances in antifungal agents and increasing demand for azole class of drugs. However, adverse effects associated with antifungal drugs and stringent government regulations are creating hurdles in the market growth. The market is offering significant growth opportunities due to improving healthcare infrastructure and growing awareness about fungal infections. The global antifungal agents market has been segmented on the basis of application, drug-class, type and route of administration. According to drug-class, the market is further classified into polyenes, echinocandins, allylamines, azoles and others (flucytosine, griseofulvin and tolnaftate). Azoles class of drugs is gaining a significant position as it is one of the most preferred options for the treatment of systemic fungal infections. Based on the type, the market is classified into powders, ointments, drugs and pastes. According to the route of administration, the market is further classified into parenteral, topical and oral. Topical antifungals are considered as an essential adjuvant to treat dermatophytosis. Moreover, in certain conditions, including dermatophytosis in infants and pregnancy usually warrant topic therapy. This enables to drive the demand for topical antifungals. Furthermore, the market is classified on the basis of geography, such as North America, Europe, and Asia Pacific & RoW. North America is expected to witness significant share in the global antifungal agents market due to increasing prevalence of fungal infections in the region. However, APAC is expected to hold a remarkable position in near future due to improving healthcare infrastructure and prevalence of invasive fungal infections in the countries, including China and India. Some of the major players contributing into the growth of antifungal agents include Abbott Laboratories, Inc., Bayer Healthcare AG, Gilead Sciences, Inc., and Pfizer, Inc. These companies used various strategies such as mergers & acquisition, product launch, collaborations to remain in the competition. For instance, In June 2017, Pfizer Inc. and Basilea Pharmaceutica AG, a Switzerland-based firm specialized in the R&D of oncological and anti-infective medicine has signed a collaboration agreement for commercialization rights of CRESEMBA in Europe. Under the terms of the agreement, Pfizer will be allowed to commercialize CRESEMBA (isavuconazole), a new antifungal treatment aimed for adult patients with invasive mucormycosis and aspergillosis in Europe. According to Pfizer, Inc. with this collaboration, the company will further optimize the value of CRESEMBA in essential regions of the world. 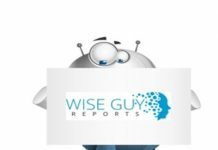 The market study of global antifungal agents market is incorporated by extensive primary and secondary research conducted by research team at OMR. Secondary research has been conducted to refine the available data to breakdown the market in various segments, derive total market size, market forecast and growth rate. Different approaches have been worked on to derive the market value and market growth rate. Our team collects facts and data related to the market from different geography to provide a better regional outlook. In the report country level analysis is provided by analyzing various regional players, regional tax laws and policies, consumer behavior and macro-economic factors. Numbers extracted from Secondary research have been authenticated by conducting proper primary research. It includes tracking down key people from the industry and interviewing them to validate the data. This enables our analyst to derive the closest possible figures without any major deviations in the actual number. Our analysts try to contact as many executives, managers, key opinion leaders and industry experts. Primary research brings the authenticity in our reports. • Authentic Public Databases such as cdc.gov, ncbi.nlm.nih.gov and so on. The report is intended for government and private companies for overall market analysis and competitive analysis. The report provides in-depth analysis on pricing, market size, intended quality of the product preferred by consumers and initial norms. The report will serve as a source for 360-degree analysis of the market thoroughly integrating different models.